My daughter, Ella, recently declared that kale is her favorite vegetable because of this preparation so I feel extra compelled to share it. She’s highly suspicious of anything new and especially of anything green so getting her to try it was no small feat but once she did, kale was in. She now requests it. It’s super weird. I suppose it’s just another example of how a little garlic, butter, and cheese can make anything taste great. If you fear all the fat, by all means, use a little less oil and butter but if you’re trying to win over a nine-year-old (or a reluctant 49-year-old) I suggest using the full amount. 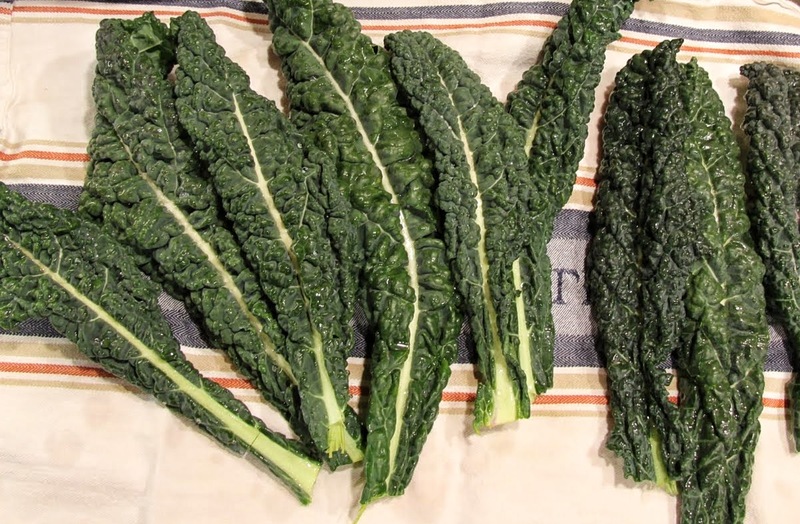 Of course, you can use curly kale for this recipe, but I always look for black kale, also called Lacinato, Tuscan or dinosaur kale. 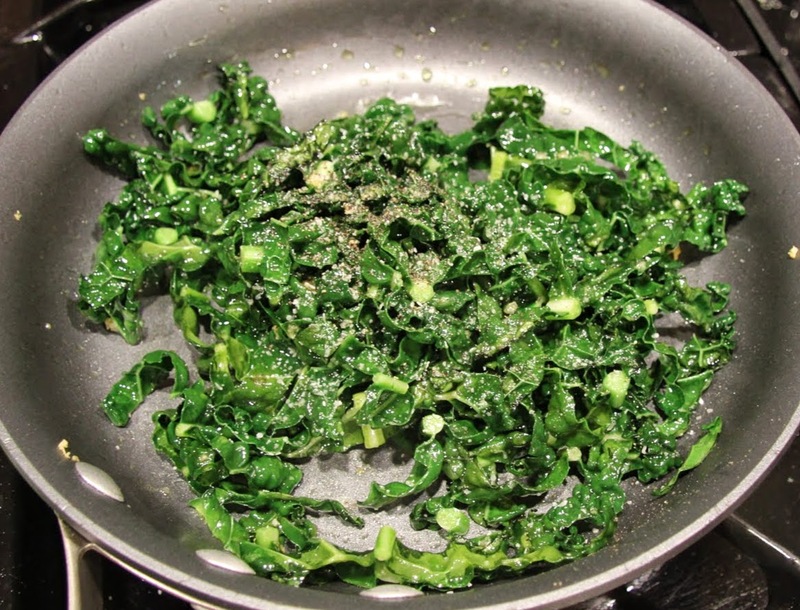 It’s a little sweeter and more tender than the more common curly kale. I think it’s prettier too with its super dark green color. 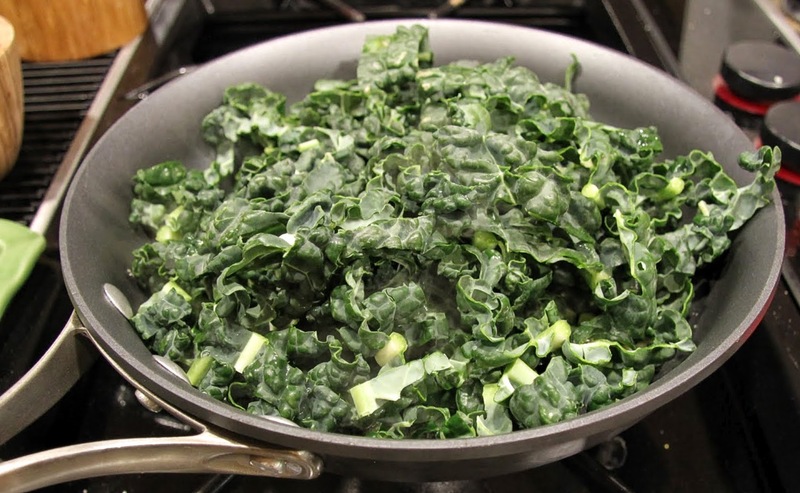 Wash kale leaves and pat them dry. 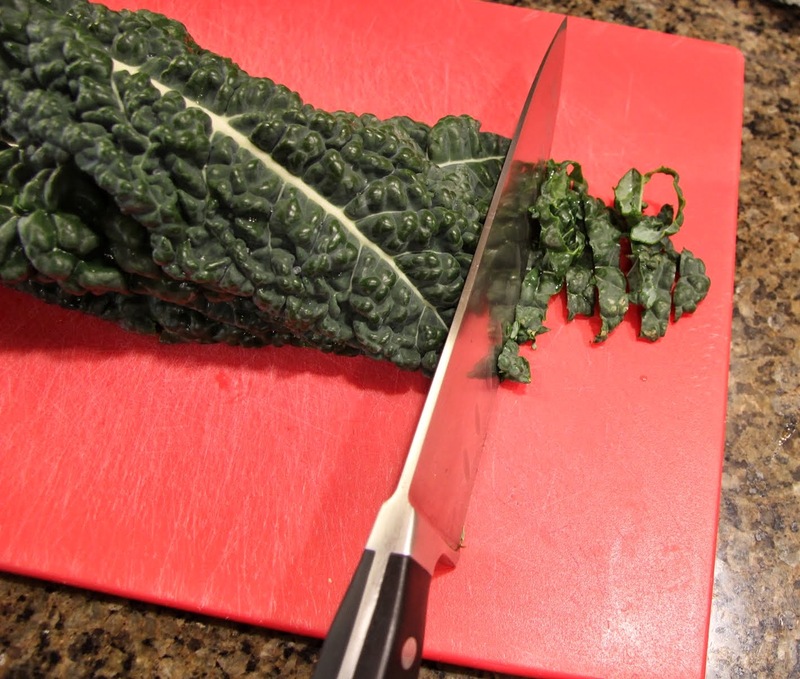 Stack the kale leaves and slice them into thin ribbons. 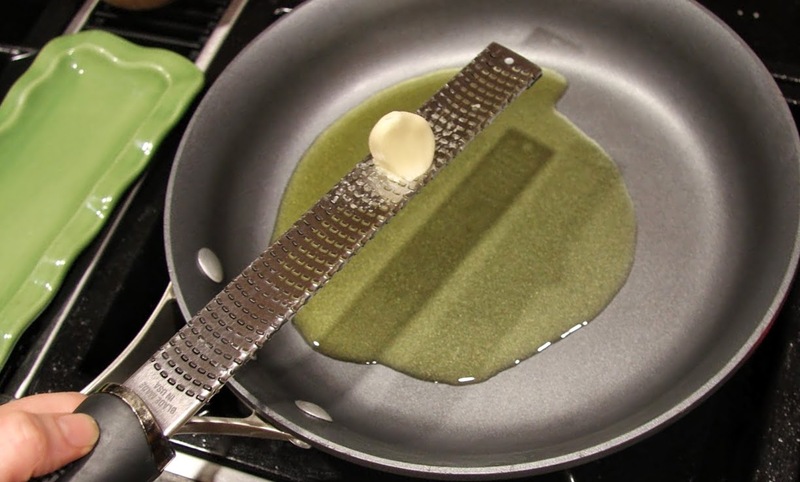 Place oil in a large saute pan and grate in garlic. If it’s a large clove you may only want to use half, depending on how garlicky you want it. Heat oil and garlic on medium heat until the oil is hot and the garlic begins to sizzle and turns light golden brown. 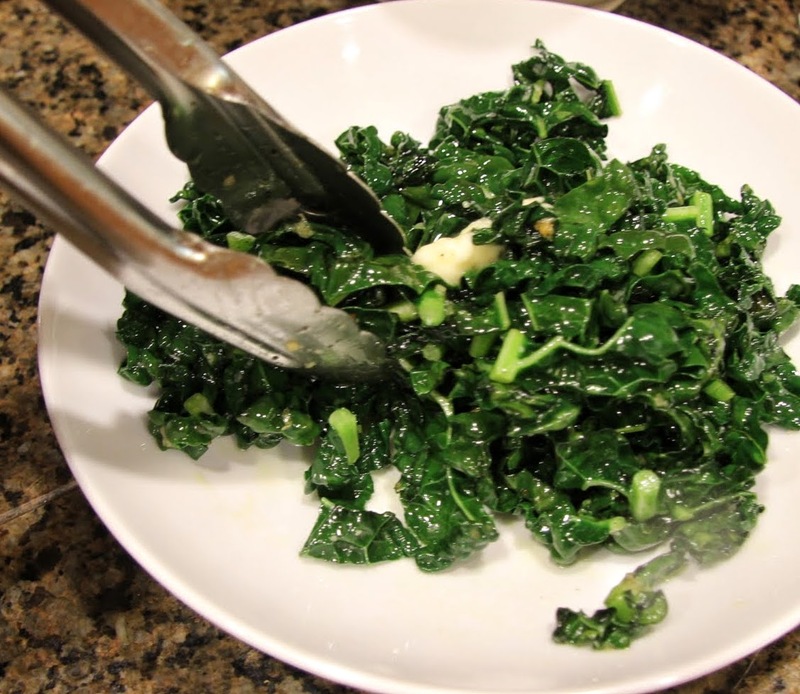 Immediately, before the garlic has a chance to get too brown, add the kale ribbons. 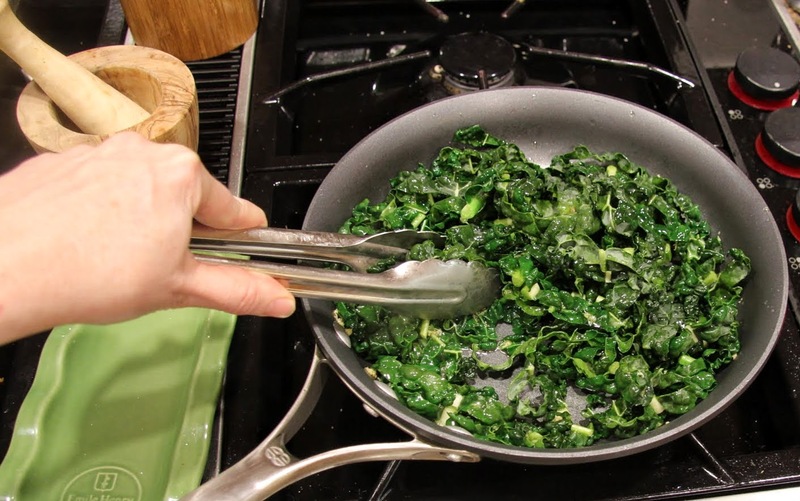 Turn heat up a bit to medium-high and frequently toss the kale with tongs (if you’re using a coated non-stick pan, make sure your tongs are silicone coated or you could use a silicone or wooden spatula) until it’s well combined with oil and garlic and it begins to cook down and get tender. This will happen quickly. Add salt and pepper, toss and transfer to serving bowl/plate. 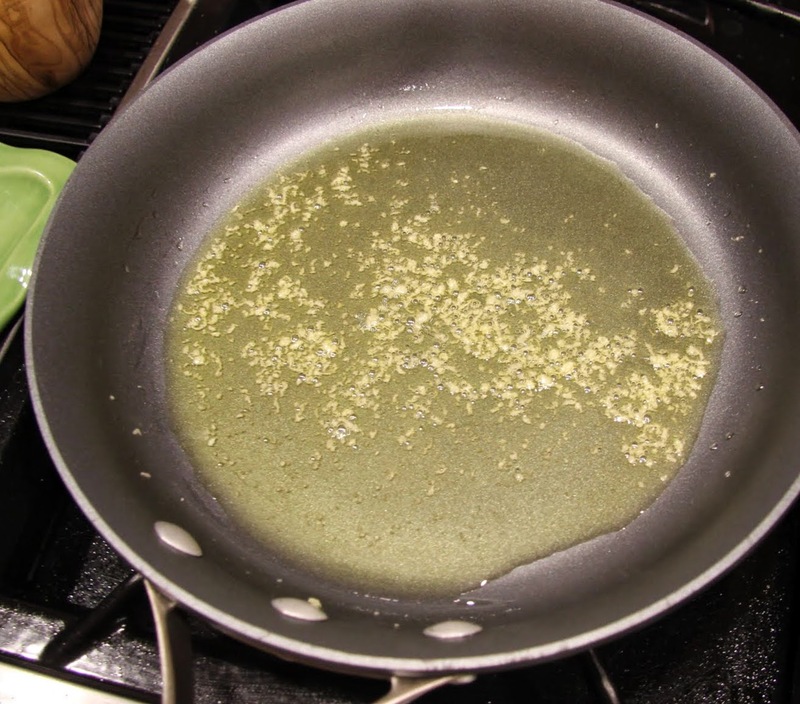 Toss in butter to coat the leaves and finish with grated parmesan. Hope it’s a hit with your family like it is with mine! This is a lesson I keep returning to because, obviously, things rarely just fall into place. Life takes us over if we allow it to. I spent much of last week resisting. Nothing was going as planned. Sick child at home. I couldn’t go into work, appointments needed to be canceled, practices missed, tough judgment calls needed to be made and disappointment was rampant in our house. I feel like a spoiled brat looking back because I do not have a demanding job; we own our own business and I only go in while my girls are in school. It was all just an inconvenience, nothing more, but I allowed myself to get totally worked up. In my defense, I tend to get super stressed when my kids are sick, I feel helpless and responsible (surely I was somehow negligent) so I don’t operate as normal. It was only once I changed perspective, stopped thinking the forces were conspiring against me ever accomplishing anything for myself, and decided to be grateful for the downtime that I was able to enjoy the rest of the week. I have the other child home sick today and I’m happy to report my attitude is much improved. Kale is driving me mad at the moment. I've tried it a few times and it always seems to come out a bit chewy as if it's not cooked enough. Boiled it, sauteed it, would love to have it come out perfect for once so I've chucked it on the back burners for now. But since I love the way you cook, I'll have to try it your way and see what happens.